Successfully Added Optical Zoom Digital Camera - 6.0M Pixel Imaging Sensor to your Shopping Cart. Made in China Digital Camera with 3x Optical Zoom, a 6.0 Mega Pixel 1/2.5 CCD Imaging Sensor, and interpolation of up to 8.0 Mega Pixel pictures. It comes with a good sized 2.4 Inch LCD Screen for easy viewing, and the ability to take photos in multiple formats including PictBridge 1.0. 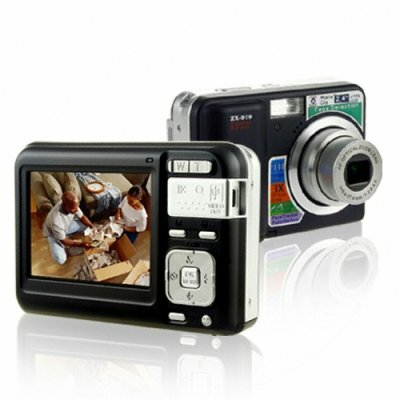 For the very low Chinavasion price, you will be getting a truly excellent camera, perfect for almost any situation.